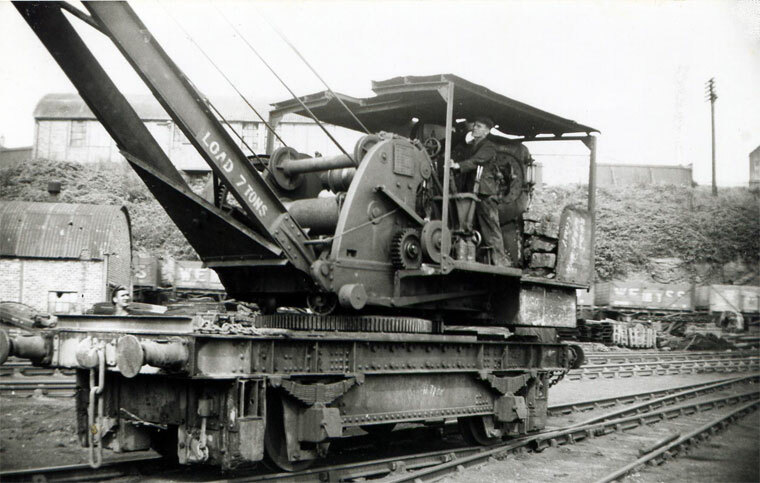 One of two cranes supplied in 1932 and 1934. Image credit John S Brownlie (late 50s). In 1879, while he was as yet under age,Randolph G. E. Wemyss, with the sanction of his trustees, constructed a railway at a cost of £25,000 from the Thornton Junction of the North British Railway to Buckhaven, a distance of four miles, with the object of developing the coal trade of the district. He subsequently acquired the Leven Dock from the Leven Harbour Company, constructed the docks at Methil, and extended the railway from Buckhaven to Methil on the west, and from Leven to Methil on the east. Image of crane supplied by Chris Capewell Queens Park London.